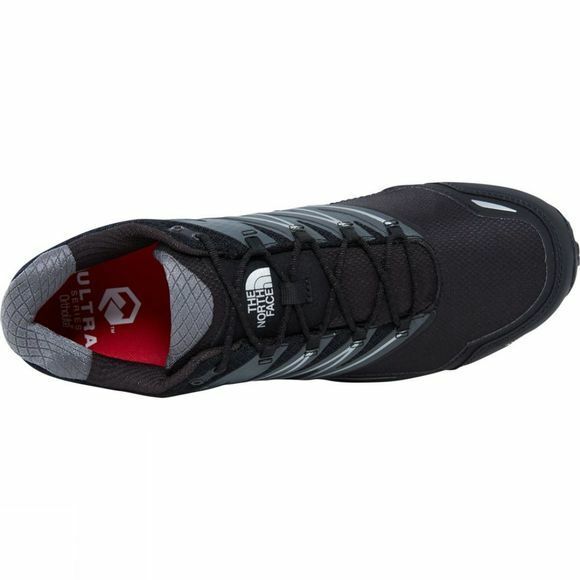 Sure-footed support and performance on the trail. 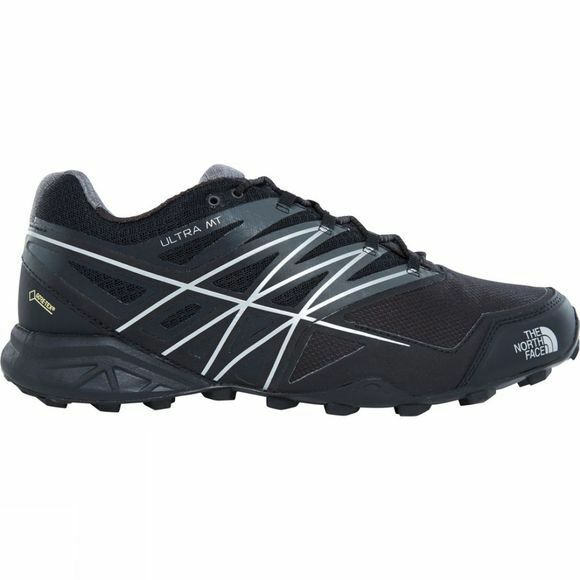 The Men’s Ultra MT GTX Running Shoes are the ultimate choice for the world's toughest trail courses. A waterproof, breathable GORE-TEX® membrane blocks out moisture to provide all-weather performance, while a FlashDry™ collar lining fends off blisters and sweat. When the surface gets slippery, rely on the Vibram® Megagrip outsole for tenacious traction. The OrthoLite® footbed gives you soft cushioning, while an ESS Snake Plate™ in the forefoot prevents bruises when racing over ragged stones.